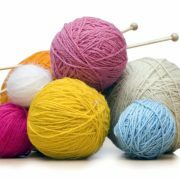 Due to unforeseen circumstances, our Knit N Natter group which usually operates on a Wednesday afternoon is closed temporarily. As soon as we have a date to reopen this group activity we will let everyone know. The Generosity of our County Residents “knows no bounds”. We would like to say a huge “thank you” to the people of Clacks following an incredible outpouring of generosity from locals over the festive season. 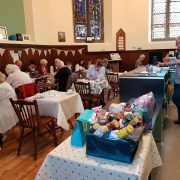 Our charity, which provides a range of services including a foodbank, soup pot and community cafe, received over eight tonnes of donations in just two months. With demand massively increasing over Christmas, everything that was contributed went to good use and helped make the festive season that bit easier for those who were struggling. Marie Brownhill, The Gate’s centre manager, said “Between November and March, every single year, without fail, all of our services are really busy. “Whilst it’s a joyful time for most, it can be the most difficult time for many. 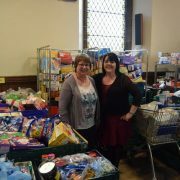 To spread a little festive cheer, food parcels were significantly increased and included festive treats like chocolates and sweets too. Marie said that she could not thank The Gate’s dedicated team of volunteers enough either, given their hard work over the festive period. 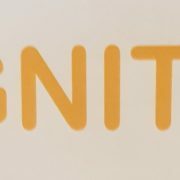 IGNITE Social Group for Young People between 11 – 17 years of age! A Social Group operated by members of Ludgate Church. Where: The Gate Centre, 2 Ludgate ALLOA. The purpose is to provide a free space for youngsters to come along to take part in games, have a snack and participate in some craft work in a supportive and welcoming environment. No Referral Necessary! Volunteers are also happy to chat & listen to the young people if they feel the need someone to talk too! http://www.the-gate-charity.org/wp-content/uploads/ignite.jpg 761 1807 marie http://www.the-gate-charity.org/wp-content/uploads/the-gate-charity-logo.png marie2018-10-16 11:48:292018-10-16 11:49:52IGNITE Social Group for Young People between 11 – 17 years of age! Would you like to join a social group to meet new friends? Do you like to knit and natter and/or meet up with new friends? Come along to our Knit N Natter / Social Group at The Gate Centre, 2 Ludgate, ALLOA. Every Wednesday, 2pm – 4pm. 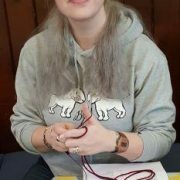 Don’t worry if your cannot knit, we can teach you and there are also other social activities to get involved in. Some of our group members enjoy a game of dominos, cards or even connect 4. You can get involved or just come along for a coffee and a natter amongst others. For further information, please call The Gate Centre 01259 218766.
http://www.the-gate-charity.org/wp-content/uploads/image.jpg 1173 1619 marie http://www.the-gate-charity.org/wp-content/uploads/the-gate-charity-logo.png marie2018-09-13 15:00:392018-09-13 15:00:51Would you like to join a social group to meet new friends? 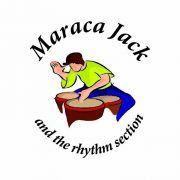 We will be hosting a fundraising event on Saturday 29 September at Weir Pumps Social Club from 8 til late to raise much needed funds for our charity. Tickets cost £5 and are available from The Gate Centre, 2 Ludgate ALLOA. We have excellent raffle prizes and the night promises to be an evening to remember! Don’t miss out on a fun evening whilst supporting a local charity. For further information, please call 01259 218766. 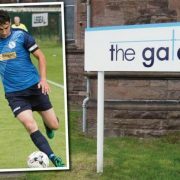 ALLOA-BASED BSC Glasgow will donate the admission takings from their upcoming SFA South Challenge Cup match against Edusport Academy to The Gate Charity. BSC have been ground-sharing with Alloa Athletic for the last two seasons and the club have also given away 50 free tickets to the match for service users at The Gate to go along to The Indodrill Stadium to enjoy the match. George Fraser, BSC Glasgow’s general manager, said: “We have been playing in Alloa for a couple of seasons and we want to give back the warm welcome we’ve been given by the local community by donating our admission takings to The Gate, a charity which we believe do fantastic work in the community, offering an array of projects all designed to help people in need. Marie Brownhill, Centre Manager at The Gate, added: “We are absolutely delighted to be supported by BSC Glasgow with this very kind donation of help. 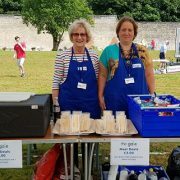 “The Gate Charity operates various projects such as a Crisis Foodbank, Soup Pot, Community Café and Home Starter Pack service as well as smaller community services to help overcome social isolation, homelessness, poverty, mental health issues and addiction. Admission at The Indodrill Stadium on Saturday is £4 for adults and £2 for concessions, with everything taken on the door being donated. The club are encouraging everyone to come out and roar the side onto victory while supporting a fantastic local organisation. Do you require catering for an event? We provide indoor and outdoor catering for events such as AGMs, Project Launches, Training Events and/or fun days. We provide nutritious food at affordable prices. Please telephone The Gate for prices and further information 01259 218766. We would like to thank everyone who recently attended our fundraising event. Last Thursday we held a prize bingo evening and raised £404 to help operate our projects. Everyone who came along thoroughly enjoyed the evening and our crazy bingo caller Mr Alan Faulds made the night even more fun with his humour and dedication. Alan is a great supporter of The Gate and it was lovely to see him again. Hopefully, there will be another event soon, offering a fun social evening for the Wee County whilst raising much needed funds for The Gate Charity. Thanks again for all the support before, during and after the event! We are now collecting donations of school uniforms and equipment until the 18th July 2018 to operate our Annual School Uniform Bank. The purpose of the project is to provide vulnerable children with uniforms and equipment to return to school with dignity and pride. We could not operate this project without the wonderful support we receive from the community. 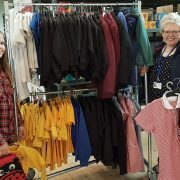 Everyone gets behind this project by recycling good quality used clothes to benefit other children within the Wee County. Last year we provided 318 children with uniforms and we are hoping to reach more children and families this year with the help from the local community. The OPEN WEEK will be held from Monday 23 July to Friday 27 July 2018, 2pm – 4pm at The Gate Centre. There is no charge for the uniforms and equipment although we welcome donations if possible. Any professionals supporting vulnerable children can telephone to refer families for support. We offer uniforms and equipment to referrers before the general public to ensure that the most vulnerable children have first access to stock and equipment. Please telephone 01259 218766 for further information. Thank you in advance for any assistance or donations you may provide, we welcome and need your support!